Your home search site with IDX will be built out first, as soon as this is finished and live we will build out your branded site immediately after. Your home search site is your fast, mobile-optimized home search experience. It displays your MLS's listings to their greatest advantage and it's designed for lead conversion and intelligence. All of your Ylopo marketing and remarketing is directed to your home search site. We set up your home search site first so you can start receiving new leads and remarketing to your existing leads right away! 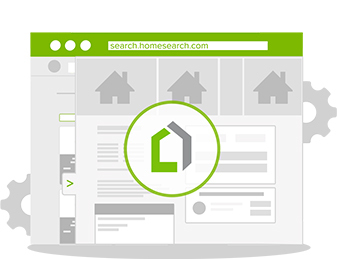 Your home search site will use what we call a subdomain. It keeps this content separate but still allows you to get your business's brand out there. Lead activity will trigger priority notifications to keep you up to date on your leads' activities! Your home search site is built 100% in-house at Ylopo. We've created this proprietary website to maximize lead conversions and responsiveness, track lead behavior, and provide automated intelligence for you and your team. but for the most part we've tested and optimized this site to drive the kind of lead behavior that gets you results. The branded website will be built directly after the search site is built, please make sure you submit all the materials for the branded site ASAP so there are no delays. Please click here to see your options with the branded sites. and you've started receiving leads, we get your branded site set up! Your branded site highlights your brand, team members, and the communities you represent! It's built on Squarespace for ease of use and to allow you to make changes and customize your site. We build your branded site using a domain name of your choice. We highly recommend using an existing branded site domain for your business so we can build on the reputation you've already created and maximize your web presence. We can highlight your main communities and build out niche landing pages depending on your market! We also embed information from your home search site into the branded site, which is one of the reasons we always want to complete your home search site first, then build your branded site. We offer beautiful templates, continuously updated with new features. Certain custom modifications are also available at additional cost. The branded site allows you to easily create beautiful single property pages for an agent's own marketing use. with real estate content and eye-catching infographics which you can send to your leads to drive them back to your site and to keep you and your team top of mind during their search!